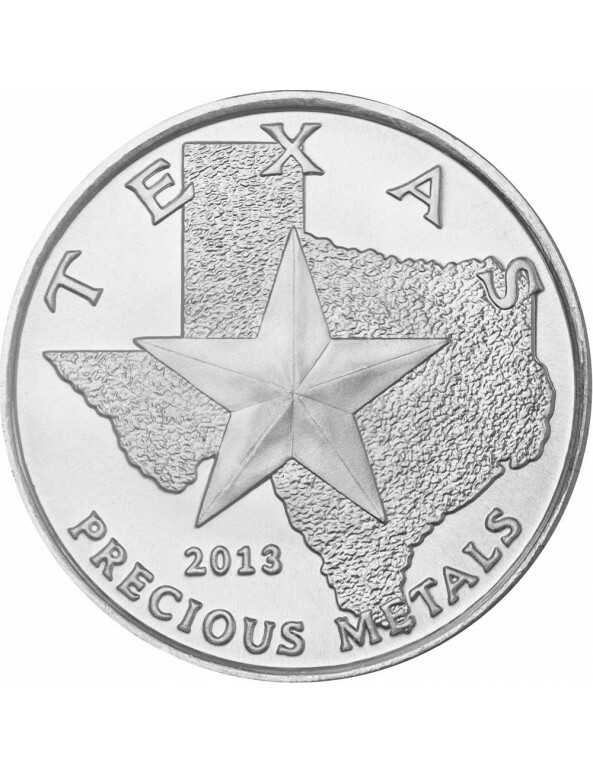 This Texas Silver Round features the geographic outline of the State of Texas and the world-famous Texas Star on the obverse of the coin. 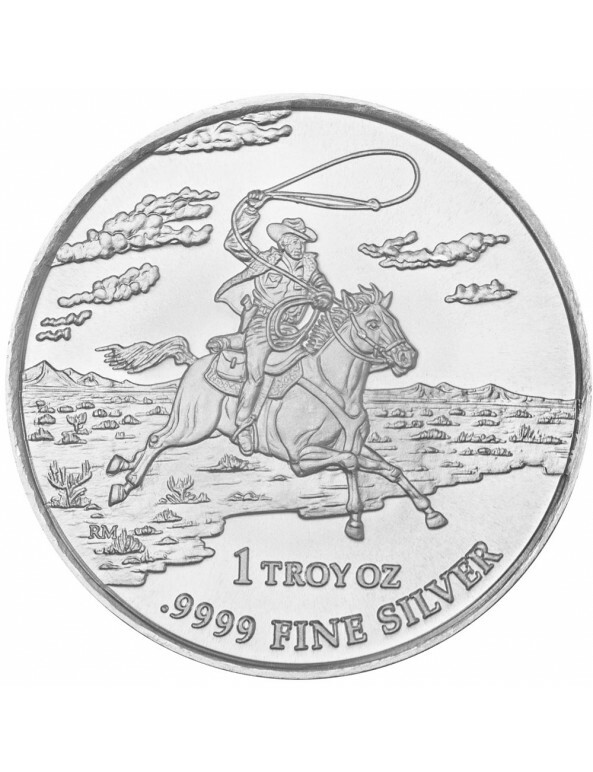 The reverse features a Texas Cowboy riding horseback in full gallup with lasso extended. A beautiful, hand sculpted design! These silver rounds are 99.99% pure. Only the Canadian Mint produces a silver product of comparable purity. 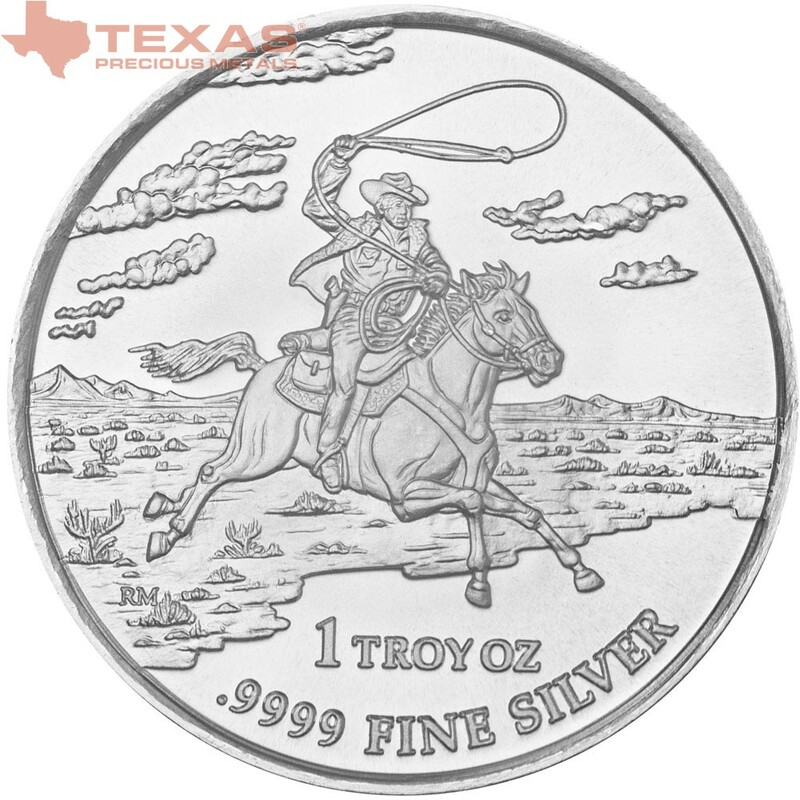 WHY THE TEXAS SILVER ROUND? Struck by Regency Mint from 99.99% fine silver, we guarantee the weight and purity of each silver round. 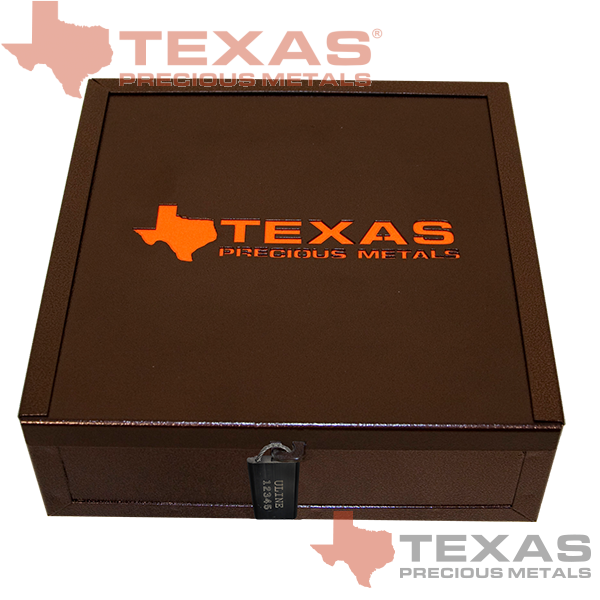 Texas Precious Metals produces the only Sealed Monster Box for silver rounds in the world. 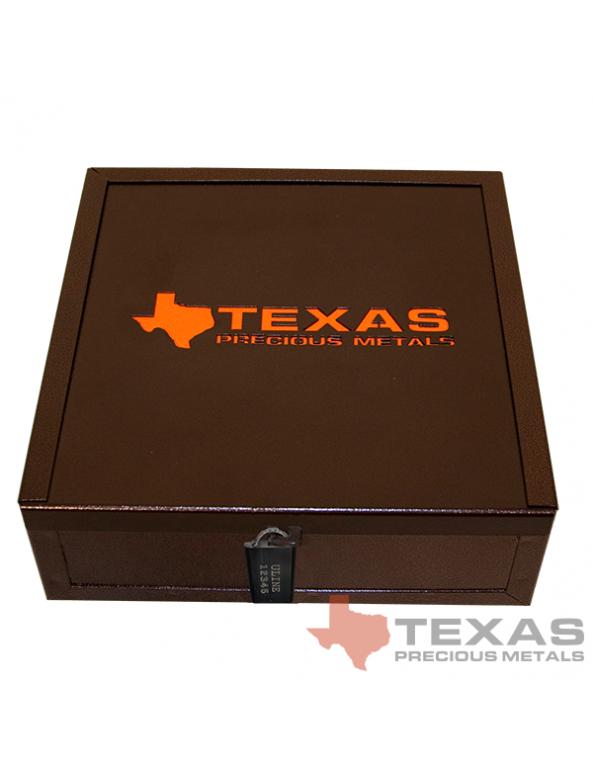 Unlike the plastic boxes from government mints (with breakable vinyl straps), we produce a durable cold-rolled steel custom monster box with an antique copper vein powder-coated finish. 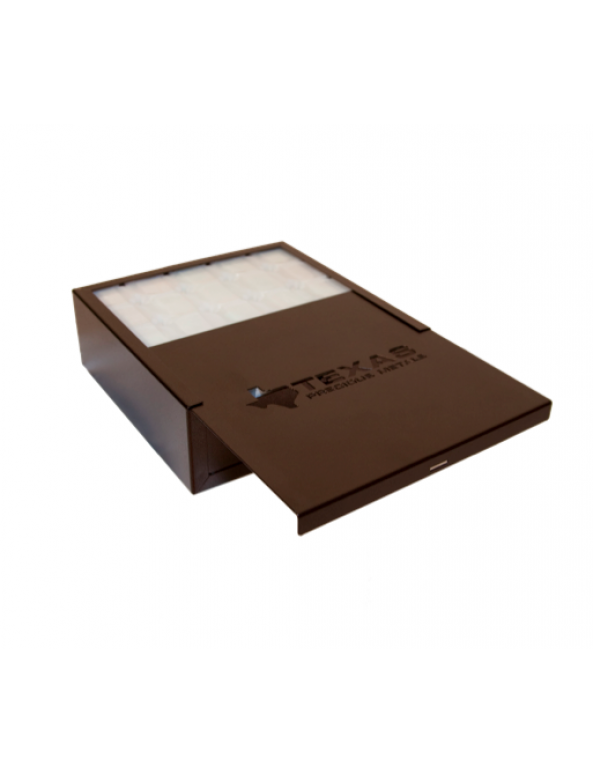 These boxes are sealed with 1/8" aircraft steel cable, and sequentially numbered with unique serial numbers. 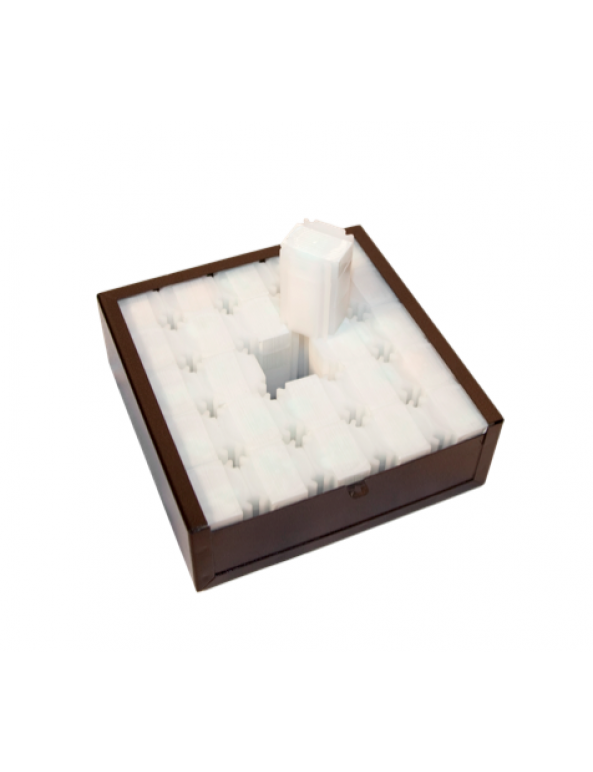 Only the the Royal Canadian Mint produces a silver product with equal purity, and for a significantly higher premium! 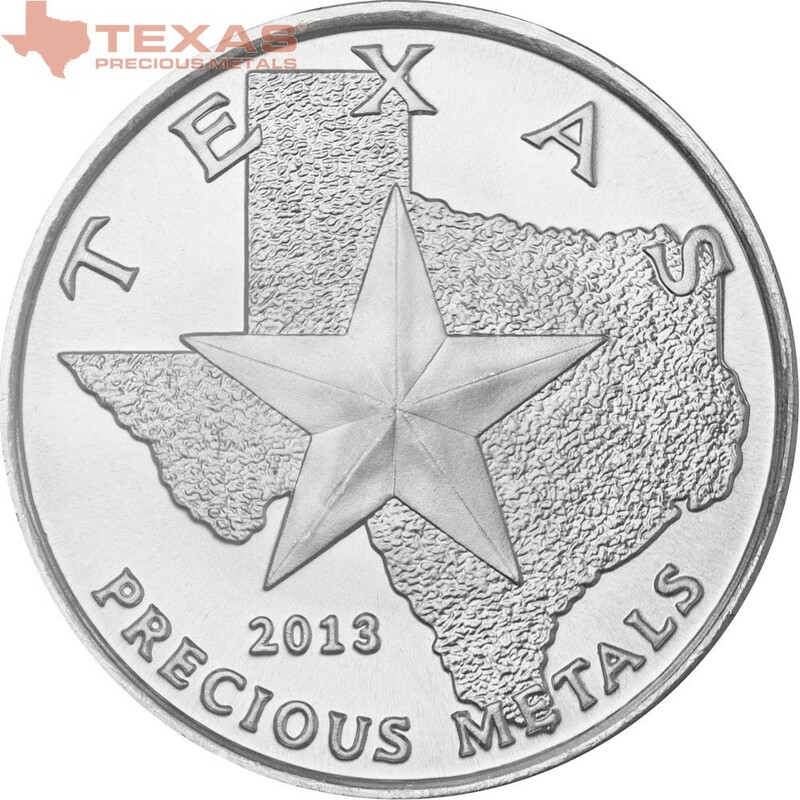 The 2013 Texas Silver Round is stunningly beautiful product featuring the great state of Texas and highlighting the American cowboy tradition! 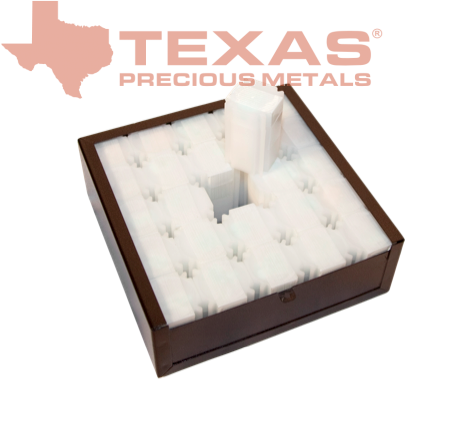 The rounds are produced at a facility which is ISO-9000 certified, rendering these rounds IRA-eligible. At this time, CNT Depository and DDSC (Delaware Depository) accepts these rounds for IRA clients, and we will soon add additional depositories. The 1 oz. 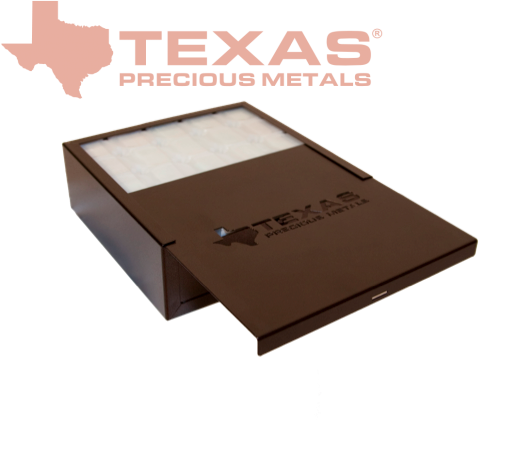 Texas Silver Round is 39.6 mm in diameter and 3.3 mm thick.